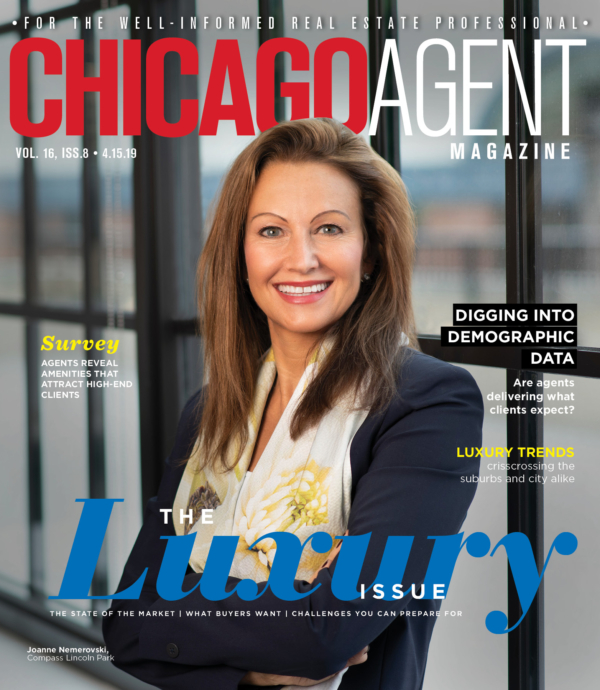 Even though real estate teams have been a force to be reckoned with for more than a decade, it’s tough to address them with anything more than anecdotes due to a lack of data on the phenomenon. Due to a whole host of factors, from the sheer variety of team size and structure to the lack of licensing categories and structures for them, teams don’t turn up in a lot of real estate research. That’s why we added a set of questions about real estate teams to our reader survey this year. They revealed basics, such as the average size of teams, but also told us that those who have joined teams do not appear to be regretting the move at this point. But just because they appear as a successful option for many of our readers doesn’t mean that everyone is smitten with this relatively new structure in real estate. One common frustration has to do with attributing sales to the proper real estate professional in multiple listing services. This particular challenge is one our magazine faces as we work to put together our Real Data issue each year (this year’s story came out Feb. 18). It’s an open secret that many of the individuals who appear on that list count on sizable teams to help them reach such heights. If Muisenga could design his own solution, he’d require all teams that have more than one licensed real estate professional (including the one team in his office, comprised of his sister and her husband) to report their transactions under a team name. He said he doesn’t have anything against them as a concept, and that he might even join or start a team himself one day. He just wants equal footing and transparency. 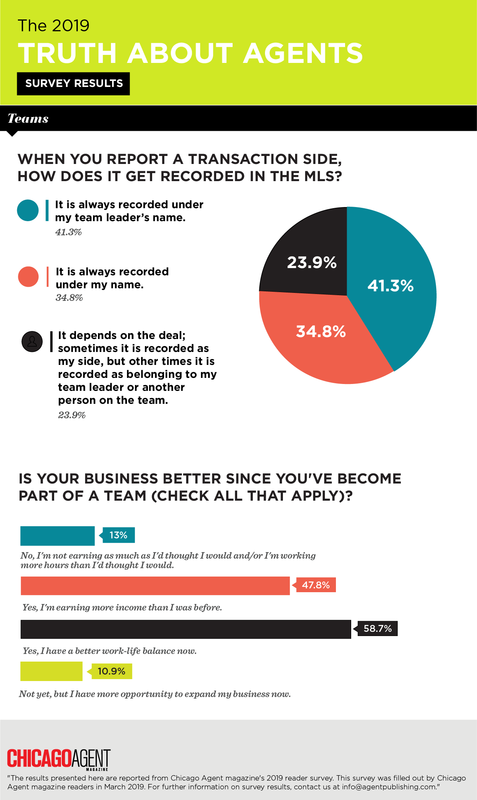 To get at some of these issues in our reader survey, we asked respondents how often team leaders are directly and significantly involved in team transactions and how they record transaction sides in the MLS. Respondents averaged out saying that their team leader was involved just under 68 percent of the time, and the question about how their transactions are recorded were pretty evenly split. Haran said he hopes MRED can also ease the pain there, by making any needed updates more automatic, and by clarifying the connections between buyers’ agents and their team leaders at the outset.